A report by Trainline.com has revealed that Lyon was France’s second most visited city by international tourists during Christmas 2018. Lyon was the second most visited city in France by international tourists this Christmas, according to Trainline.com. Photo Taken from Trainline. 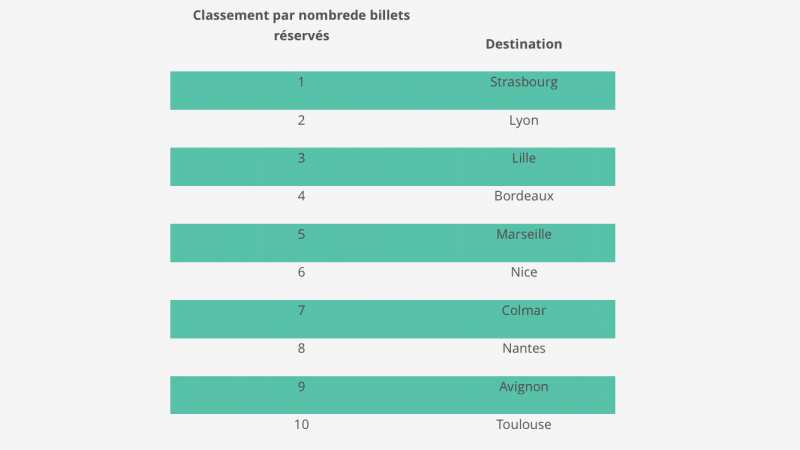 The Trainline reported that during Christmas 2018, Lyon was the second most visited city in France by international tourists, only losing out to Strasbourg. Paris, however, was not included, as it tends to be the point of entry for most international tourists. The statistics say it all. The number of train tickets to Lyon bought by international tourists between 15th December 2018 and 6th January 2019 increased by 21% when compared with the year before. It’s hardly surprising that Lyon attracted so many tourists this Christmas. 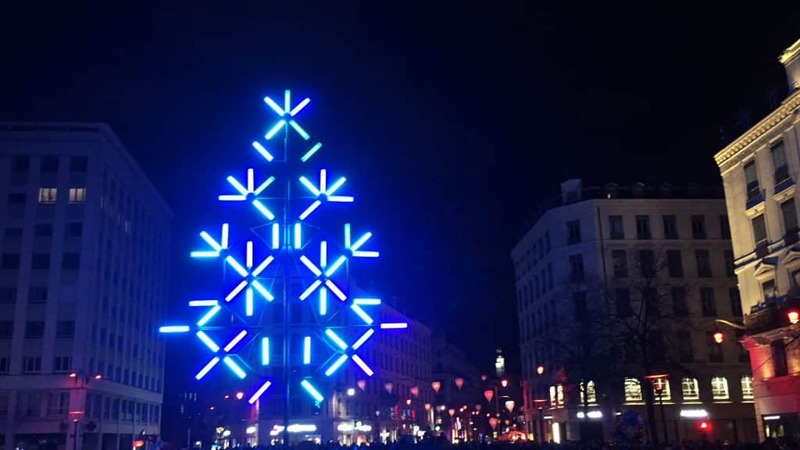 The Christmas lights, some of which were left over from the Fête des Lumières, gave the city a true festive spirit. Even my road in Lyon 7 got dressed up for the occasion. Though not as well-known as Strasbourg’s, Lyon’s Christmas Market at Place Carnot might have brought in visitors. What could get people more in the festive spirit than Christmas shopping and mulled wine? This Christmas, Lyon was particularly popular amongst English-speakers, especially the British and Americans, who tended to stay for several days. Anglophones aside, the city was also frequented by other Europeans, who tended to stay for a shorter duration. 2019 is set to be just as lively here in Lyon, so it can only be expected that the city will continue to draw in more and more (Anglophone!) tourists.